Boost your body confidence, get your muscles "ironed out" and achieve a healthier, more active lifestyle with the support of Vita Wellness' Massage services. 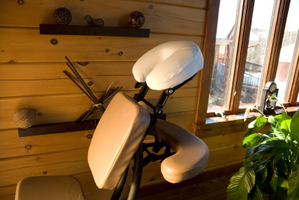 Schedule a massage with a Vita Wellness Massage Therapist today! Create a bragged-about corporate culture with stress-busting chair-massage! 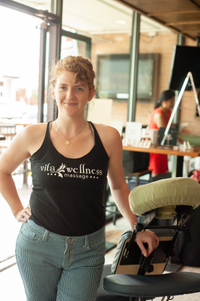 Our mobileVita Massage Team brings high quality massage services to progressive Austin businesses devoted to the health and well-being of their employees. Make Your Bash A Memorable One! Looking for a unique way to give that warm "Thank You" to your ladies & wedding crew? 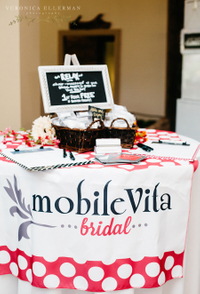 Help them feel special with our on-site chair-massage services at your bachelorette, bridal party or even on the Big Day! Interested in having FREE chair-massage at your next ATX event? Each month, we gift two hours of stress-busting chair massages to participants at local races, farmers markets & other select, super-pumped happenings.